A cumulative sum is a sequence of partial sums of a given sequence. For example, the cumulative sums of the sequence , are , , , …. Cumulative sums. Cumulative Sum:Cumulative sums, or running totals, are used to display the total sum of data as it grows with time (or any other series or progression). This lets you view the total contribution so far of a given measure against time. If you’re a frequent user of the SUM function, you may occasionally want to take the cumulative SUM of a value across a table. For example, if you have a table that outlines product sales by month for an entire year, you may want to insert a cumulative SUM column that shows year-to-date sales at the end of each month. This can be easily accomplished using relative and absolute cell references combined with the SUM function. Let’s take a look at how it works. Step 1: Create a table and Insert the data into the table. 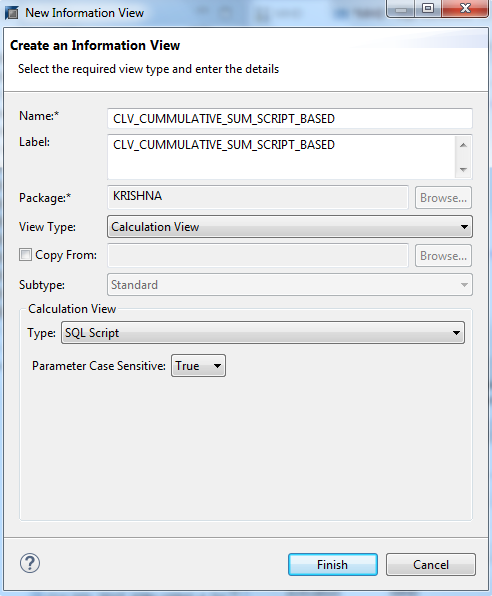 Created “CUMMULATIVE_SUM” table using SQL Console. Analytic privileges control access to SAP HANA data models. Analytic privileges are used to grant different users access to different portions of data in the same view depending on their business role. It allows us to maintain row-level access. SQL privileges implement authorization at object level only. Users either have access to an object, such as a table, view or procedure, or they do not. While this is often sufficient, there are cases when access to data in an object depends on certain values or combinations of values. Analytic privileges are used in the SAP HANA database to provide such fine-grained control of which data individual users can see within the same view. 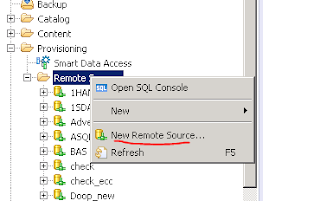 SAP HANA smart data access enables remote data to be accessed as if they are local tables in HANA, without copying the data into SAP HANA (without having to replicate the data to SAP HANA) in SAP HANA, you can create virtual tables which point to remote tables in different data sources. See HANA - Adapter (Virtual Table) With smart data access SAP HANA, you can can retrieve data from tables in external databases (e.g. Sybase, Oracle or SAP HANA). This reduced the need to load all accessed data into SAP HANA. SDA facilitates the HANA to integrate data from various heterogeneous sources like Sybase IQ, Teradata, Hadoop and SAP Sybase Adaptive Service Enterprise.